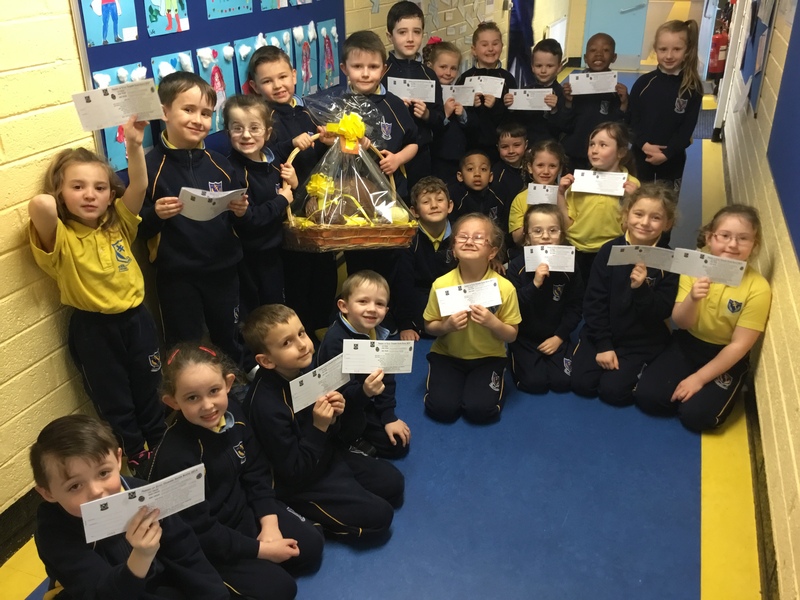 The boys and girls in Scoil Oilibhéir have been very busy selling raffle tickets for our AMAZING Easter Raffle! Our raffle will be taking place in Halla Oilibhéir on Friday the 12th of April and we are all very excited. Check out our lovely Senior Infants from Room 1 showing one of many super prizes to be won on the day. 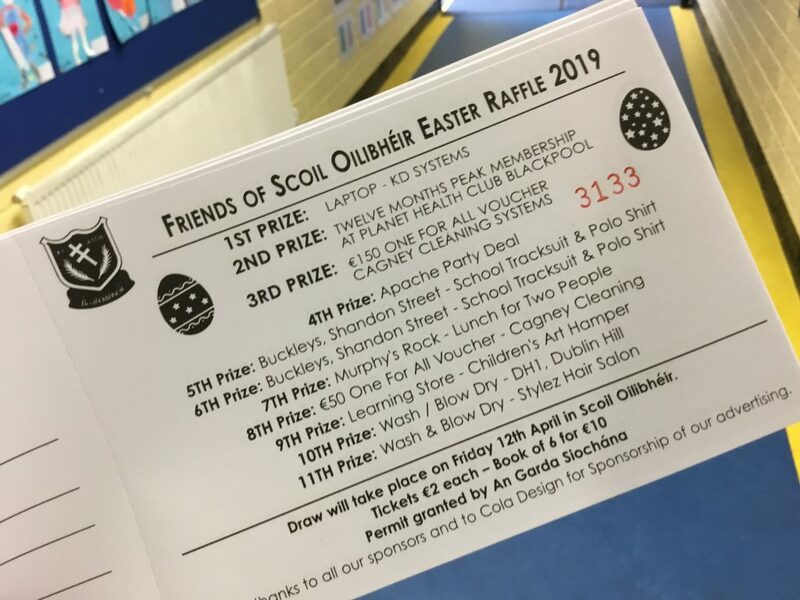 To be in with a chance of winning one of our excellent prizes keep an eye out for the students of Scoil Oilibhéir selling raffle tickets and raising money for our brilliant school. We would like to thank The Friends of Scoil Oilibhéir for helping us run such an amazing fundraising event each year. We would also like to thank all our sponsors for their support.